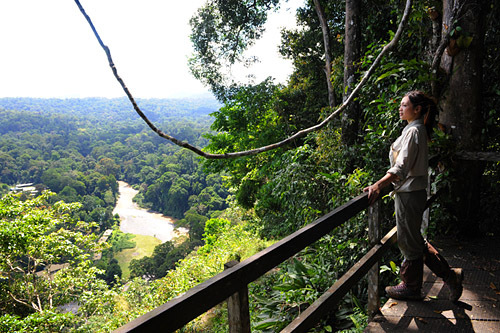 Renowned for its diverse plant and animal life & luxurious environment, Borneo Rainforest Lodge Danum Valley is the ideal destination for a Borneo Safari. 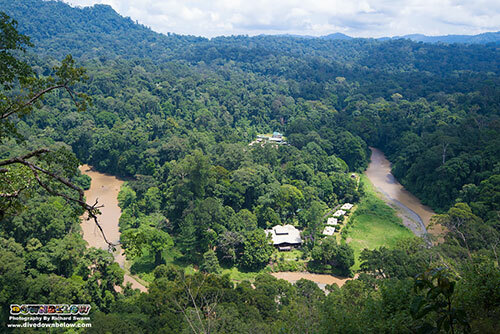 With the addition of 3 new and exclusive Premium Villas, Borneo Rainforest Lodge has pioneered a niche for luxury stay in a virgin tropical rainforest setting. 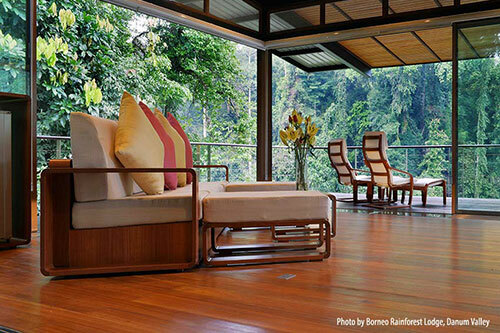 Delight in our 4D3N Premium Villa Luxury Package, a private basis rainforest excursion complete with a butler service! 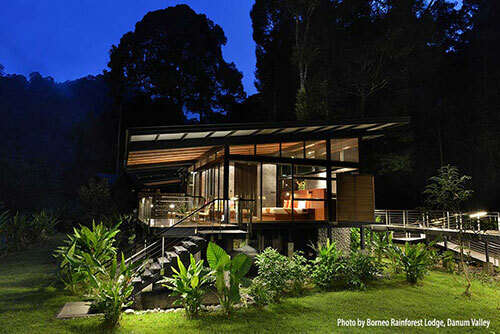 Borneo Rainforest Lodge is a hidden gem in Danum Valley, well known for their exceptional standard that also caters to the high end market. 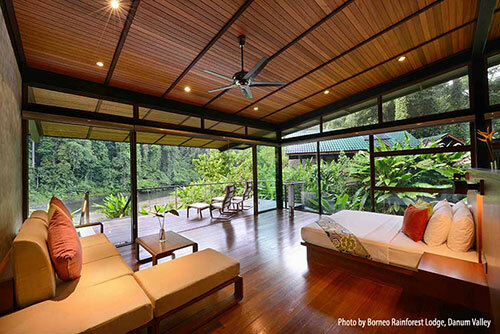 With the addition of 3 new and exclusive Premium Villas, our 4D3N Borneo Rainforest Lodge Premium Villa package is the perfect luxury stay in a virgin tropical rainforest setting. 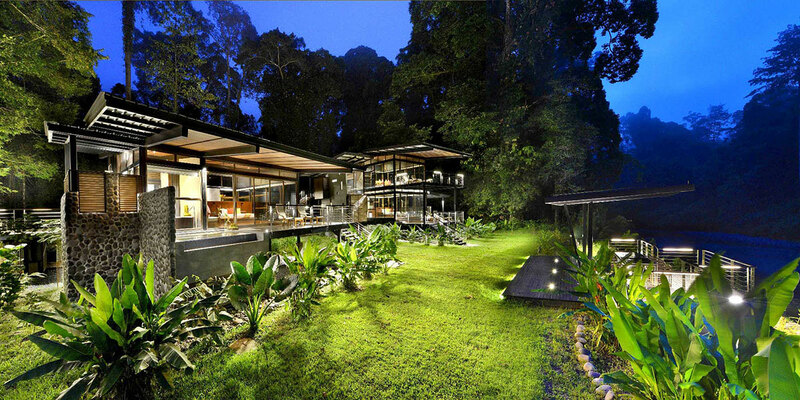 These elegant villas with glass walls are designed to give guests a one with nature feel that is comfortable and indulgent. 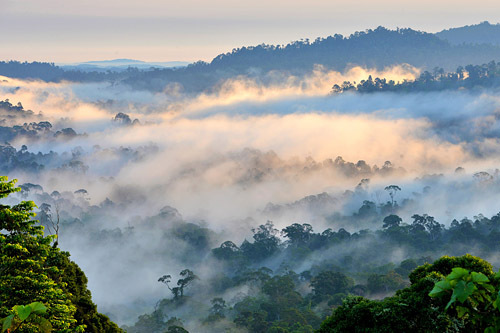 Danum Valley is comprised of mostly rugged terrains at between 150 meters to 1,000 meters above sea level, it is also the best representation of a continuous transition of undisturbed lowland dipterocarp forest to highland forest in Sabah. 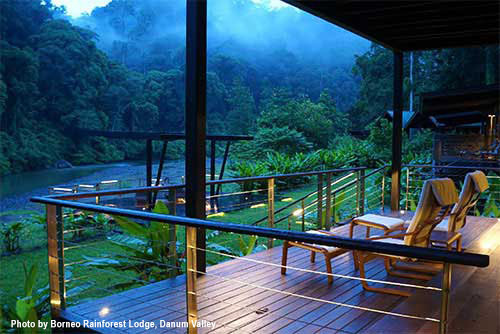 True to its rainforest status, Danum valley receives rainfall measuring 2,000 mm to 3,000 mm per year so visitors can expect Borneo Rainforest lodge to be warm and humid year long. 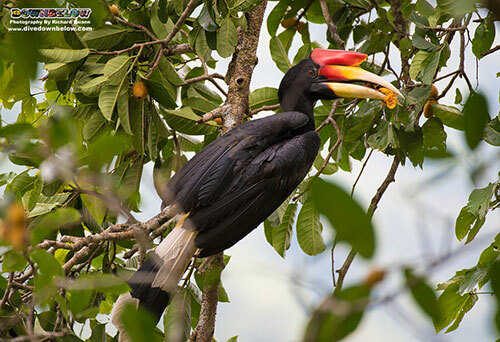 The outstanding biodiversity of flora and fauna is perfectly showcased in Borneo Rainforest Lodge, thick forest in the immediate areas of the lodge and chalets means visitors can get close encounters with wildlife from the comfort of the main lobby or their own verandahs. 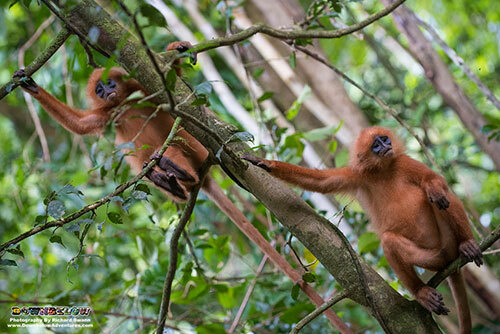 In fact primates such as the Red Leaf Monkey, Orangutans and Long Tailed Macaque are commonly sighted near the main lodge and its road. 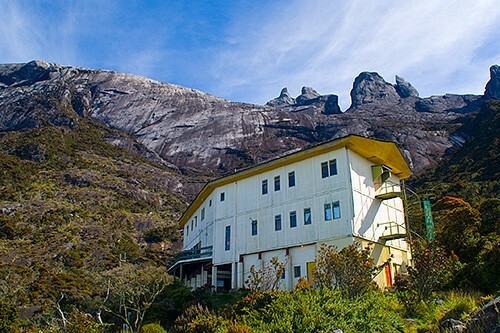 The 26 kilometres of webbed trails surrounding the lodge ranges in difficulty level and all of different length to cater for guest with different fitness level. The webbed trails also makes a good crossing for smaller mammals like mouse deers, civets, wild cats etcetera. 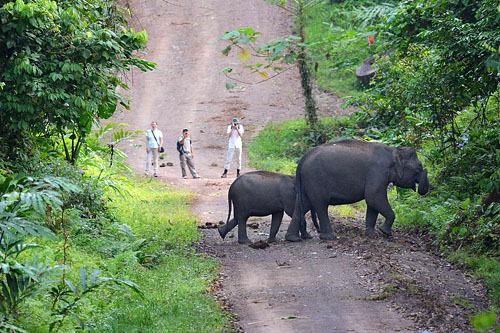 During the migratory period when pygmy elephant make their way along the Danum River, they can also be found near these trails. 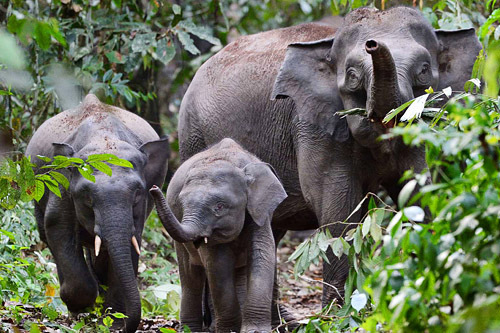 Sambar deers and bearded pig are among the common sightings near the lodge and chalets. 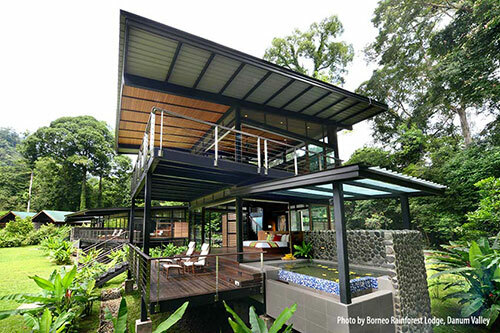 The Premium Villas comprise of two single storey villas and one double storey villas. 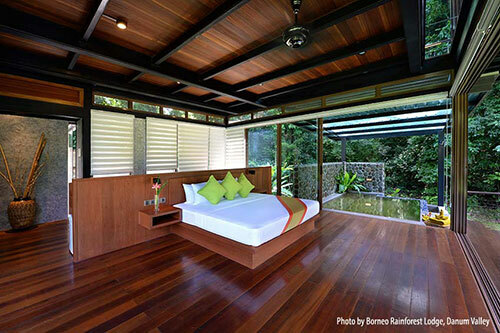 Glass panels on the villas gives a 180 degrees panoramic view of the forest from inside your room. 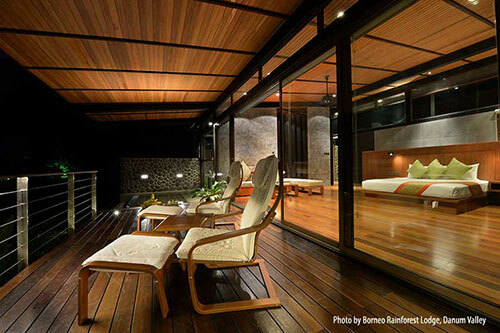 Reclining lounge chairs are set up on the spacious balcony, right next to the overflowing plunge pool with built in steps where you can comfortably sit in the pool. Relax and enjoy the scene while enjoying the complimentary bottle of sparkling wine. 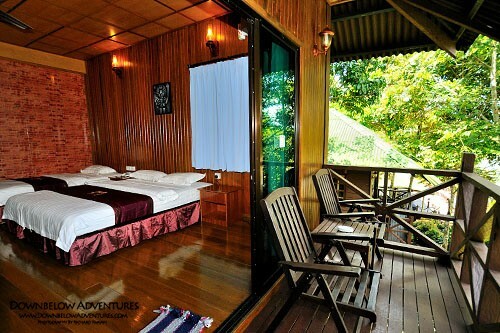 The Premium Villas have air-conditioned rooms to make sure you will sleep soundly in your king sized bed, the villa also has an indoor hot tub and an outdoor shower. 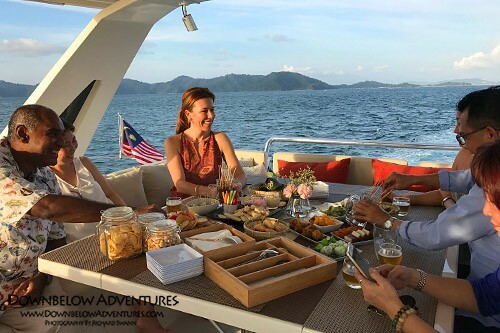 Amenities include a set of complementary canned beverages including beers and soft drinks, Nespresso coffee machine, a Swarovski binocular and trekking poles. A pair of rubber shoes and leech socks are also included. 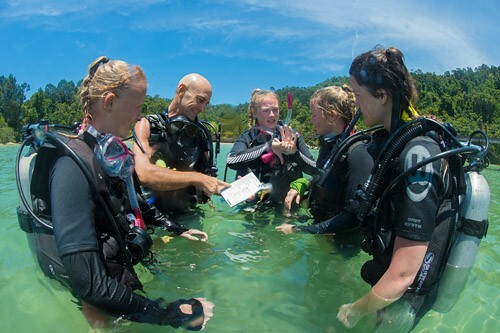 Our suggested flights below meet the scheduled transfers from Lahad Datu to Borneo Rainforest Lodge & return which are included in your package. 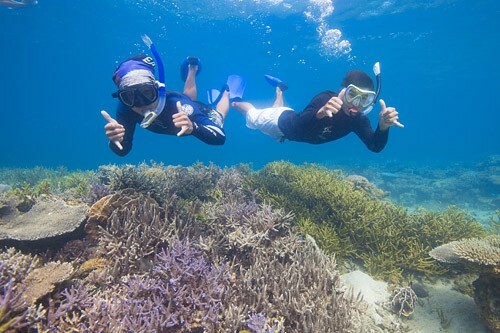 If you are booked on another flight, then we will need to arrange an un-scheduled transfer where a surcharge of MYR 55.00 per person is applied. Meet and greet with your private guide at Lahad Datu airport, proceed to the office for journey briefing and registration.Depart for 2.5 hours overland journey on gravel road to Borneo Rainforest Lodge. Personalised check in by your butler at the Premium Villa, with refreshments. 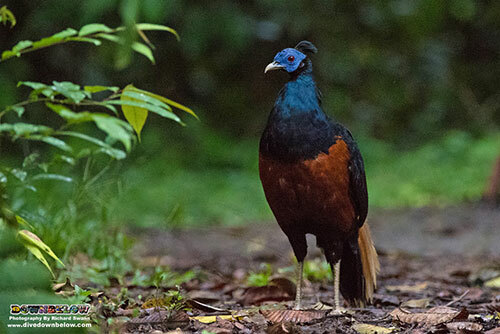 0800 Depart on a hike to the tribal burial site “coffin cliff” before continuing to the viewpoint platform for a bird’s eyes view of the valley.Descend back to main lodge, you may opt to stop by the waterfall or natural jacuzzi pool to cool off. 1530 Jungle trekking to a trail recommended by your private guide, look for orangutan making nest as they get ready to retire for the day. 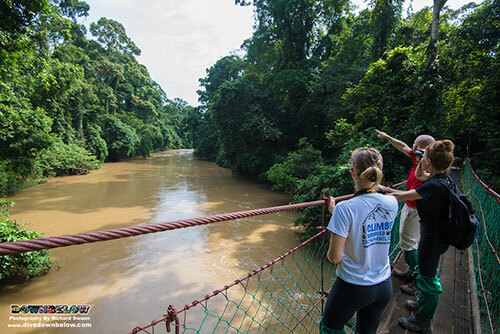 0800 Depart for a jungle trekking on a trail recommended by your private guide, the guide will tell you the best trails to follow based on your interest and fitness. 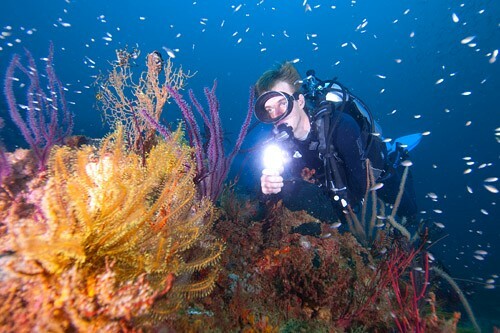 Lightweight clothing long sleeves & long pants/trousers, Binoculars, Camera, Leech Socks, Insect repellent, Raincoat or poncho, Good walking shoes, Hat.